The Vancouver Giants are off and running in Round 2. 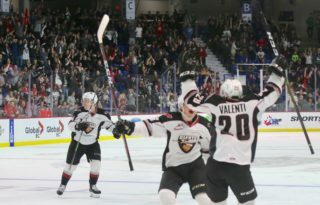 Friday night in front of 4500-plus at the Langley Events Centre, the Giants defeated the Victoria Royals 3-0, giving themselves a 1-0 lead in the second-round best-of-seven series. Davis Koch, Jared Dmytriw and Dawson Holt had the goals for Vancouver while Bowen Byram had two assists. 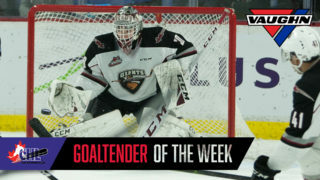 Trent Miner stopped all 15 shots he faced in goal giving him three wins in the playoffs and his first career WHL shutout. Griffen Outhouse answered with 25 saves in the Victoria net. VAN – Davis Koch opened the scoring at 13:44 of the first period on a power play when he took a feed from Bowen Byram, skated in close down the left-wing and tucked home his second of the playoffs on a forehand deke to move the G-Men up 1-0. Dylan Plouffe had the second assist on the goal. 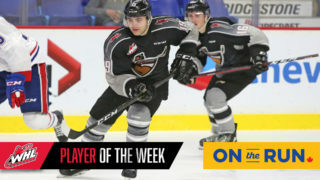 VAN – 5:50 into the final period Giants captain Jared Dmytriw (2) pounced on a Victoria turnover, raced in alone on Griffen Outhouse and roofed a backhander up and over his stick and home to give Vancouver a 2-0 lead. 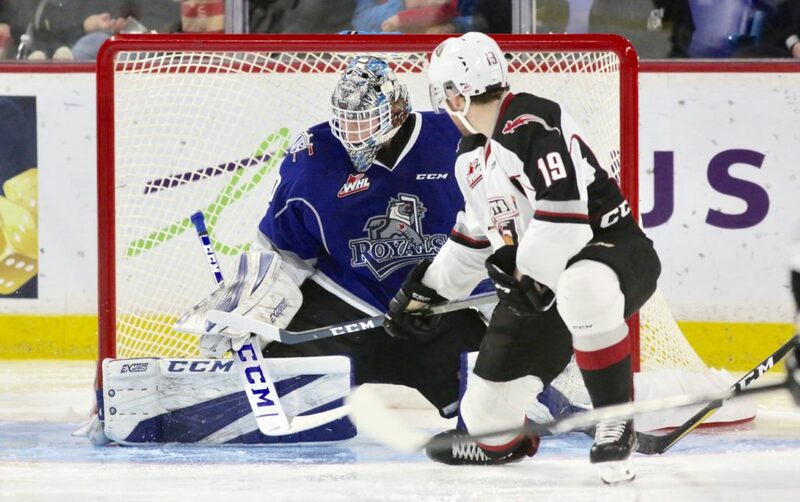 Bowen Byram and Alex Kannok Leipert drew the helpers on the WHL’s highlight of the night. Next Game: Game 2 goes tomorrow night at 7:00 PM at the LEC. 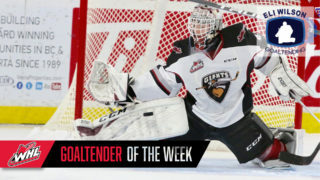 Trent Miner recorded the Giants first playoff shutout since April 14, 2009 when Tyson Sexsmith blanked the Spokane Chiefs 1-0 in Game 7 of Round 2. Nick Ross had the OT winner that night at 1:56 which sent Vancouver to the third round. With 11 points in seven games, Davis Koch leads all WHL skaters outright in playoff scoring. He’s recorded at least one point in six of his seven games played so far. Giants forward Justin Sourdif returned to the lineup on Friday night after missing Games 2-6 of their first-round series with Seattle. Bowen Byram extended his point streak to three games. He has a goal and four assists for five points in that span after recording two assists Friday in Game 1.